In a stunning commentary published yesterday by the Council for Clean and Reliable Energy, energy policy consultant Marc Brouilette says that Ontario’s wind power program is an expensive adventure that does not achieve any of its goals for the environment or economic prosperity, and is in fact, making things worse. 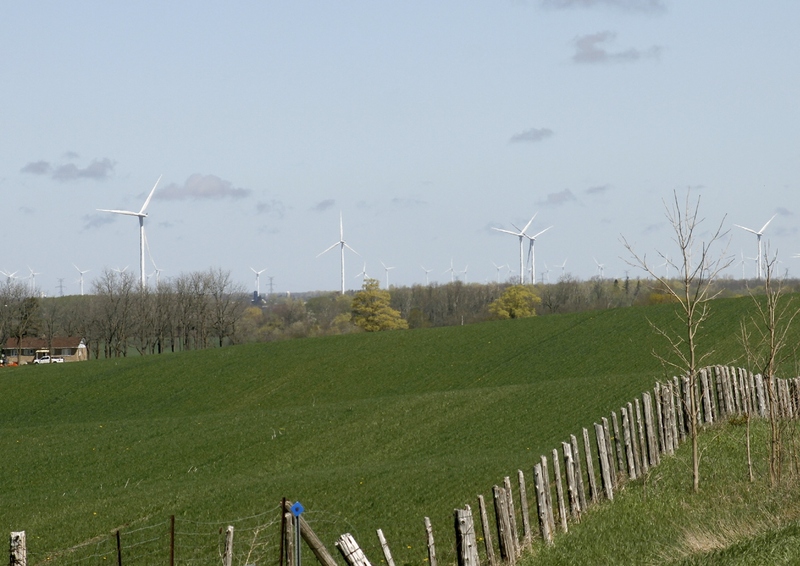 At a cost of $1.5 billion in 2015, Brouillette says, the fact that wind power generation is completely out of sync with demand in Ontario results in added costs for constrained generation form other sources. Constrained nuclear and hydro cost $300 million that year, and a further $200 million in costs was incurred due to “avoided” natural gas generation. And, the power isn’t even getting to the people who need it. 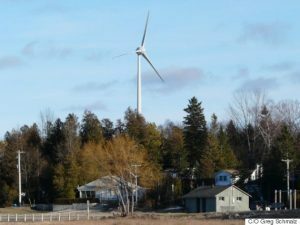 “[O]nly one-half of total provincial wind output makes it to the Central Region and the GTA where most of Ontario’s electricity demand exists,” Brouillette states. All things considered, wind costs more than $410 per megawatt hour, which is four times the average cost of electricity in Ontario. This is being charged to Ontario’s electricity customers, at an increasing rate. Once the lawsuits begin in Ontario, this industrial wind turbine story will become even more of a waste of money to the Ontario taxpayers. Again so defendable in court…..
once the rural people of Ontario have had enough it will spill over onto the back roads and turdbines sights…. people have every right to be angry!! Such an abuse of power by the very people we pay to govern us!!! When people start paying money to protect themselves from the government… well….. it never ends well…. ‘Resilient People Resilient Planet: A Future Worth Choosing’, 2012, 100 pages. Has a list of the country panel members. More information on the internet. The IPCC was created in 1988 by the WMO and UNEP. There were three Governors’ Global Climate Summits (GGCSs) 2008-2010 in California. Re: Governors’ Global Climate Summits and sub-national activities. Has references to the GGCS summits. P.21, GGCS Declaration which included energy efficiency and renewable energy and more. Ontario participated in this 2008 California event. UNDP publication download available at PreventionWeb. ‘Canada – Energy in The Context of Sustainable Development’, c. 2005, 38 pages. Also has the role tax benefits have in the development of renewable energy. First page at this website is 2008 and has la list of more recent UNDP publications UNDP on sub-national initiatives. More information online on this topic. Original agreement signed Feb.26, 2007, U.S.
Ontario signed the WCI agreement later (2008) so the Ontario agreement could be different than the original 2007 signed in the U.S.
Ontario should have a copy of their WCI agreement? Cap-and-trade is mentioned in the 2007 original U.S. agreement. View: End Notes, pp. 26-27 for reference sources for this 2015 Report. Announced by Quebec Premier John Charest April 18, 2008. Re: Montreal Climate Exchange & the Chicago Climate Exchange. Founded 2009 and merged with the Rocky Mountain Institute 2014. Search at: Has more information. The Flick Off advertising campaign was launched in Toronto April 25, 2007. The campaign was aimed at young Canadians. With the evidence mounting weekly against EVERY aspect of IWT, How can Wynne continue to ignore our pleas to STOP Wind Turbines. Hey Marc Brouillet where tahell have you been hiding. We have been preaching this for years. Maybe, just maybe, your input will touch a nerve. I am almost at my limit so good-luck Marc and thanks.